Akyapak Turkey has been actively marketing and selling its products in N. American market since mid 90s.With the introduction of higher technology products like plate, profile, tube bending machines and drilling line machines, we felt the need to increase our market presence and our customer support level therefore established Akyapak USA in early 2015. It is – and has been – the successful commitment of AKYAPAK USA to receive, quality control, install, and provide warranty and after warranty support of these imported products. We provide a local physical presence for these companies. We make ourselves available as someone you can “reach out” and access. With 15,000 sq. ft. space of office and showroom area, various machines like plate and profile bending, drilling line and welding solutions machines under power, experienced sales and aftersales support personel and its convenient location in Drew Park just a couple of minutes driving from Tampa International Airport, we are ready to show you how we can contribute to your business with our high technology and competitive products. 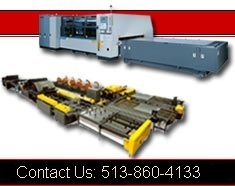 Contact Us About Any Of This Akyapak Sheet Metal Fabrication Equipment!